How Much Time Does It Take for a DNA Molecule to Replicate? Replication of DNA – deoxyribonucleic acid – happens before a cell divides to ensure that both cells receive an exact copy of the parent's genetic material. While there are many similarities in how prokaryotic and eukaryotic cells replicate their DNA, there are several distinctions between them, due to the different size and complexity of the molecules, including the time it takes to complete the process. Prokaryotic cells are quite simple in structure. They have no nucleus, no organelles and a small amount of DNA in the form of a single, circular chromosome. Eukaryotic cells on the other hand, have a nucleus, multiple organelles and more DNA arranged in multiple, linear chromosomes. DNA replication begins at a specific spot on the DNA molecule called the origin of replication. At the origin, enzymes unwind the double helix making its components accessible for replication. Each strand of the helix then separates from the other, exposing the now unpaired bases to serve as templates for new strands. A small segment of RNA – ribonucleic acid – is added as a primer, then new nucleotide bases that complement the unpaired bases can be assembled to form two daughter strands next to each parent strand. This assembly is accomplished with enzymes called DNA polymerases. When the process is complete, two DNA molecules have been formed identical to each other and to the parent molecule. The steps for DNA replication are generally the same for all prokaryotic and eukaryotic organisms. Unwinding the DNA is accomplished by an enzyme named DNA helicase. 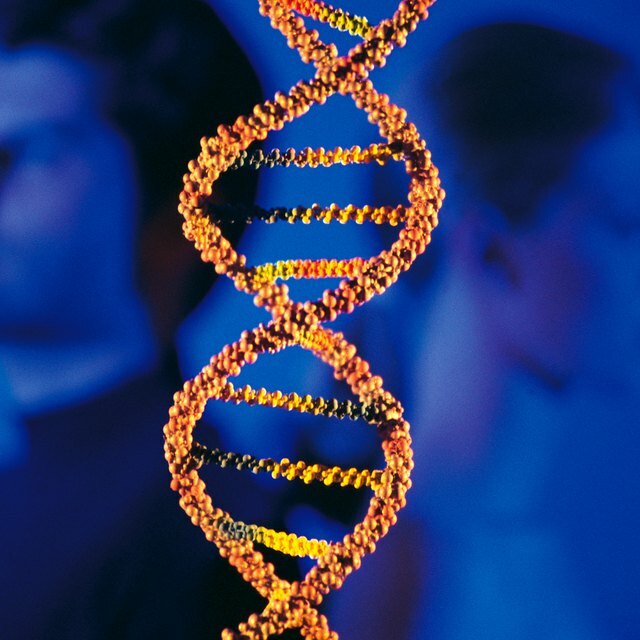 Manufacturing new DNA strands is orchestrated by enzymes called polymerases. Both types of organisms also follow a pattern called semi-conservative replication. In this pattern, the individual strands of DNA are manufactured in different directions, producing a leading and a lagging strand. Lagging strands are created by the production of small DNA fragments called Okazaki fragments that are eventually joined together. Both types of organisms also begin new DNA strands with a small primer of RNA. Differences between prokaryotic and eukaryotic DNA replication are largely related to contrasts in size and complexity of the DNA and cells of these organisms. The average eukaryotic cell has 25 times more DNA than a prokaryotic cell. In prokaryotic cells, there is only one point of origin, replication occurs in two opposing directions at the same time, and takes place in the cell cytoplasm. Eukaryotic cells on the other hand, have multiple points of origin, and use unidirectional replication within the nucleus of the cell. Prokaryotic cells possess one or two types of polymerases, whereas eukaryotes have four or more. Replication also happens at a much faster rate in prokaryotic cells, than in eukaryotes. Some bacteria take only 40 minutes, while animal cells such as humans may take up to 400 hours. In addition, eukaryotes also have a distinct process for replicating the telomeres at the ends of their chromosomes. With their circular chromosomes, prokaryotes have no ends to synthesize. Lastly, the short replication in prokaryotes occurs almost continuously, but eukaryotic cells only undergo DNA replication during the S-phase of the cell cycle. Mechanism of DNA replication: An Introduction to Genetic Analysis; Anthony JF Griffiths, et al. The Cell: A Molecular Approach; Geoffrey M Cooper. Telomerase Function: Biology; Peter Raven. Taylor, Stacy. "Comparing & Contrasting DNA Replication in Prokaryotes & Eukaryotes." Sciencing, https://sciencing.com/comparing-contrasting-dna-replication-prokaryotes-eukaryotes-13739.html. 13 March 2018.